I know I’ve been MIA for the past week and there’s a reason for that, we had a long weekend in Canada to celebrate Canada Day (July 1st) and along with my friends H and G, we took a short road trip to the US to do some shopping! Our first stop was Cleveland at Legacy Village. 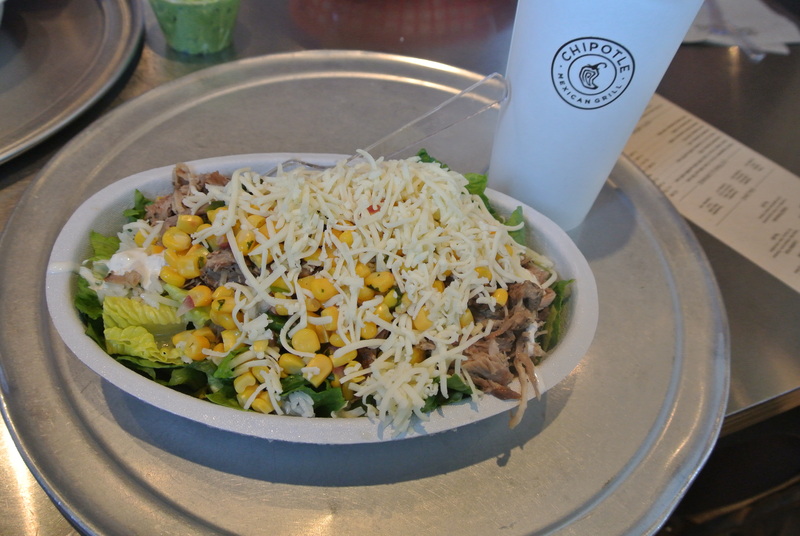 There we decided to eat lunch at Chipotle Mexican Grill, a fast food joint serving up burritos, tacos and salads. What’s different about Chipotle is their commitment to using locally sourced ingredients from farmers who use sustainable methods of raising their animals and growing their produce. When you enter, you need to choose your dish (burrito, tacos, burrito bowl or salad), choice of meat (chicken, steak, barbacoa – shredded beef, carnitas – shredded pork or vegetarian) and then choice of salsas. Pretty simple process to get your food fast! I chose the salad with carnitas and roasted chili-corn salsa – it was fresh and tasty, perfect for a quick lunch to re-energize myself. And if you ever want to find how much calories you have consumed, they disclose the calorie count of each item on their menu. For fast food, this was a great healthy choice and just what I needed! 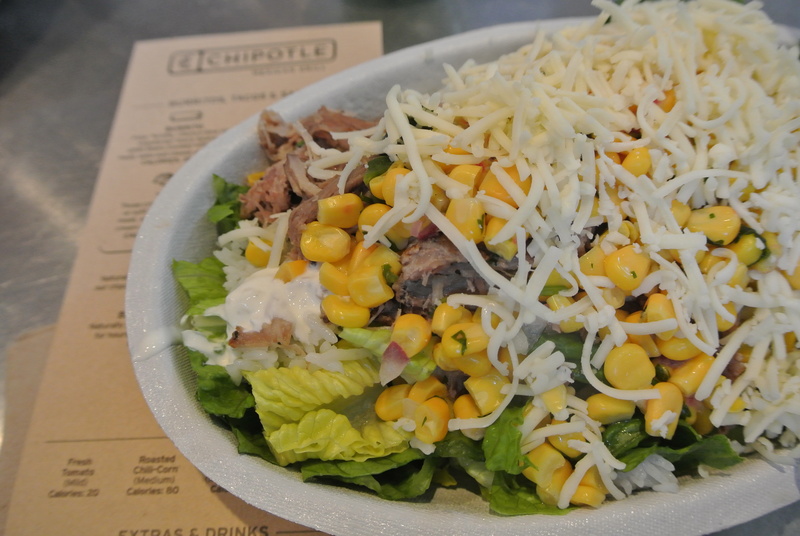 My Chipotle salad with carnitas, rice, roasted chili-corn salsa and cheese. 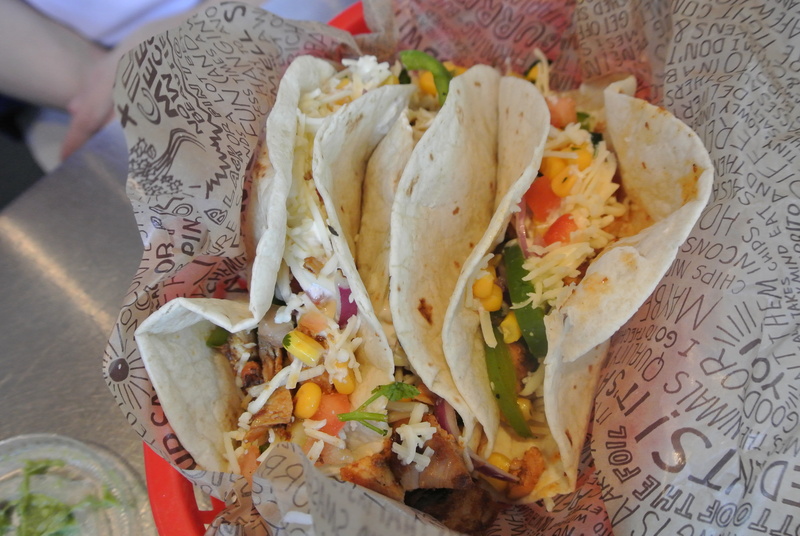 Chipotle tacos – my friend G’s lunch. 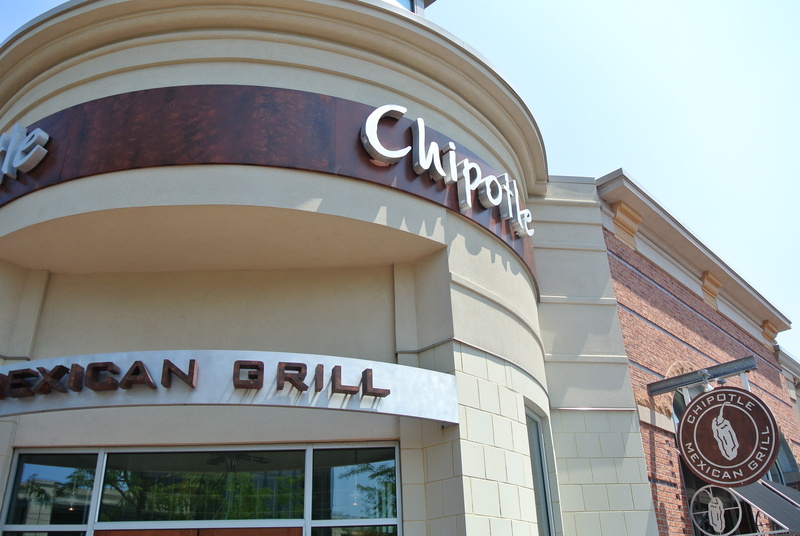 Chipotle Mexican Grill – Legacy Village location.